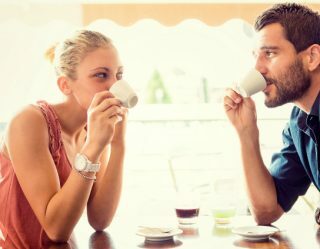 Don’t hit the block looking (and feeling) blasé. 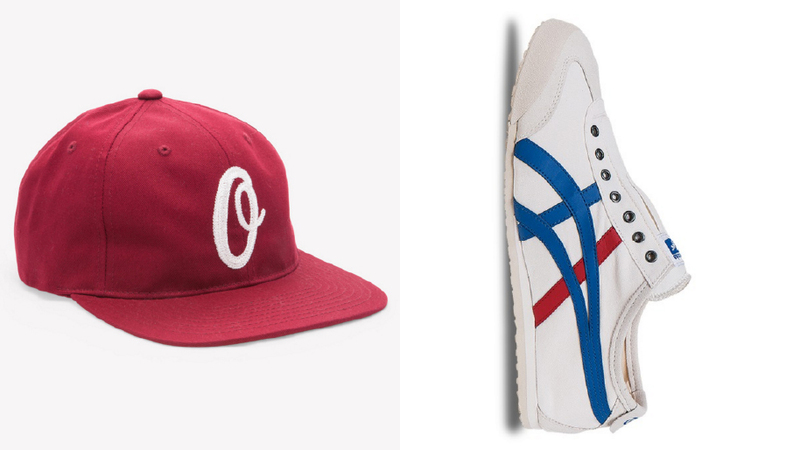 Take a few seconds to skillfully adorn the tip of your toes and the top of your head with sneaks and caps that make an otherwise dull outfit feel polished and complete. Coordinated color ways are a must when figuring out any look’s finishing touches, and nothing compliments your understated pant-shirt pairing better than a simple snapback and some easy to wear slip-on sneakers. 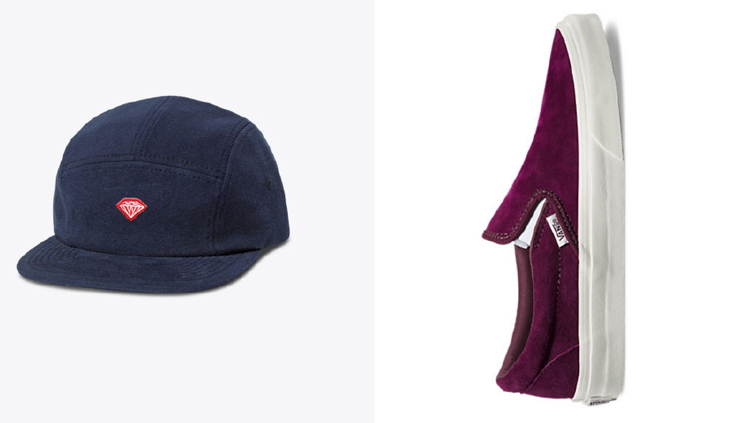 Photo: Hat by Norse Projects; Slip Ons by Toms. Norse Projects’ 6 Panel Kvadrat Cap, $104, is designed in Denmark, made in the USA. 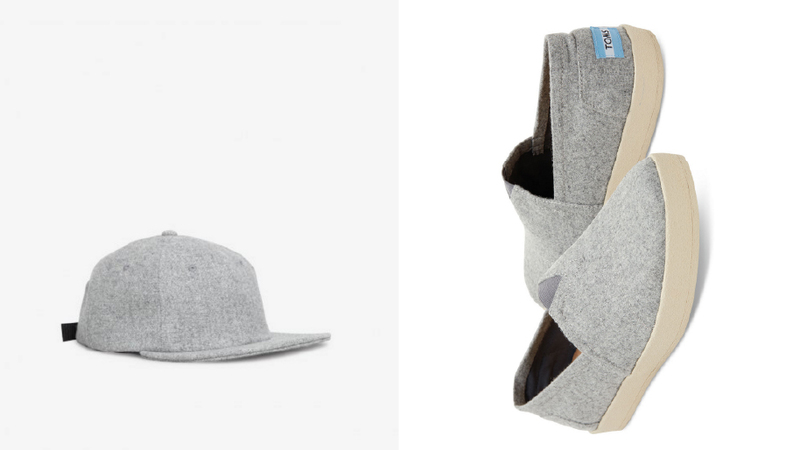 This plain and simple grey 100% wool hat would look extra slick dressed up – black slacks, white dress shirt, and on the bottom, the Toms Light Grey Wool Avalon sneakers, $59. Photo: Hat by Herschel Supply Co.; Slip Ons by Huf. When venturing out of the box with a very unexpected shoe (patent leather anyone? ), it’s important to keep the rest of the outfit clean and simple. We recommend pairing the Dylan Slip On Patent, $90, with dark denim skinny jeans, a black or white tee, and up top, the Herschel Supply Co. simple logo’d Glendale Cap, $34.99. Photo: Hat by Obey. ; Slip Ons by Onitsuka Tiger. Slip ons don’t only come in one format. The Onitsuka Tiger Mexico 66 Slip On, $85, is more like a traditional trainer, only these don’t require laces. Even better, these shoes belong to Onitsuka Tiger’s vegan collection. Pair these with worn in jeans and a crewneck for a perfect brunch ready ensemble. On top, the Obey Bunt Low Pro Hat, $31. 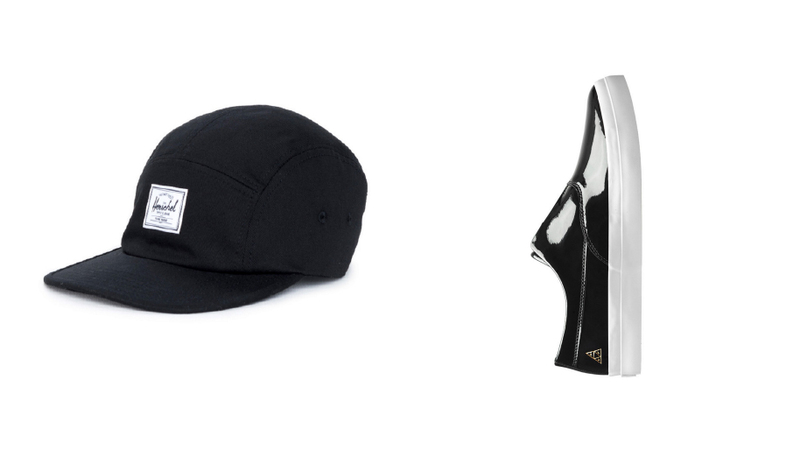 Photo: Hat by Diamond Supply Co.; Slip Ons by Vans. Take a walk on the wild side with street style accessories in truly unexpected colors and fabrics. The Diamond Supply Co. Brilliant D 5-Panel in speckled navy, $40, may be made out of cotton jersey, but in the deep navy blue, it could easily pass for a matted felt wool. 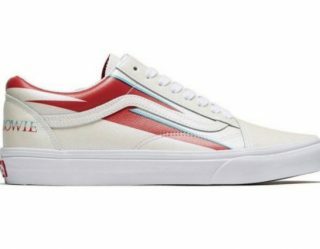 Meanwhile you may think you’ve seen Vans in every iteration, but the staple footwear company is constantly moving toward the new & unexpected. It has happened once again in the Scotchgard Slip-On, $55.